The Phantom 4 Pro proved to be a distinct improvement over earlier Phantom 4 drones because of a camera that can deliver truly professional results, including 4K video shot at 60fps. The Phantom 4 Pro+ takes another quantum leap, this time with a built-in display for the remote controller. It enhances the flying experience with a crystal-clear display of streamed video, even in bright sunlight. 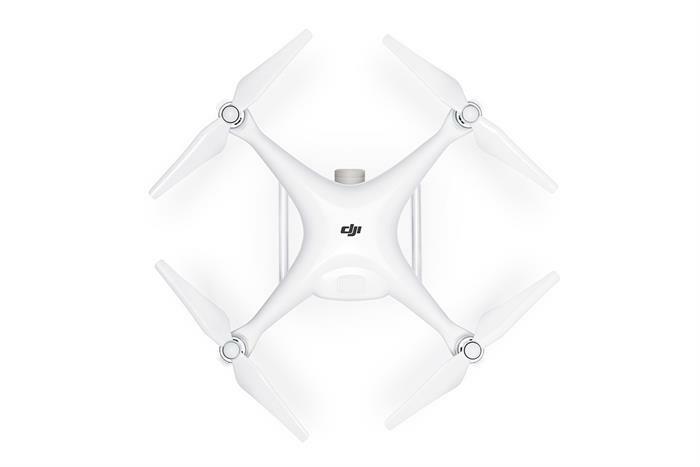 The Phantom 4 Pro drone and the Phantom 4 Pro+ drones are identical. They’re both maneuverable and reliable, with capability for 4K video, image stabilization from a motorized 3-axis gimbal, 4.3-mile range, up to 30 minutes of flight time, high speed, precise placement, memory features, the DJI Go flight program, and four-directional obstacle avoidance. It’s the remote controller that differs. The built-in display on the Phantom 4 Pro+ is 5.5 inches. This 1080p display is ready for use once you unfold it — there’s never a need for a preflight connection to a smartphone or a tablet. Neither the phone nor the tablet come up to the display capabilities of the built-in unit. And the Pro+ controller with built-in display will weigh less than a Pro controller with tablet, if you were relying on the tablet for a better view than a phone provides. The improved view is visible even on bright days. The built-in Pro+ display is more than twice as bright as a phone or tablet attached to the older Pro controller. Images look sharper, with far more definition, than on the phone or tablet, even without a viewing hood. The display uses a 5.8Ghz signal, which keeps the display from interfering with the drone’s 2.4Ghz signal. With the display built in, setup before each flight becomes quicker. You don’t have to attach your phone, and you don’t have to connect — or remember — your cable. Press a single button, and the remote controller with built-in display is ready for flight. A microphone and speaker also are built in. After flying, there’s no device to detach. Just fold the built-in display against the controller and pack it up. On the back, the Pro+ controller has improved connectivity. Where the Pro controller has only two USB ports, the Pro+ controller has two USB ports, a microSD card slot and an HDMI out port. The HDMI port allows you to connect to an HDMI monitor, perhaps most useful at home or in the studio. The Phantom 4 Pro+ comes Ready To Fly. If you’re a professional videographer or photographer who pilots a drone, and not a pilot who uses a camera, that matters. Only minor, non-soldered assembly is required. Everything you need is in the box, including the display, already attached to the remote controller. The capabilities of the camera make a very clear statement that says “Pro.” The 1-inch CMOS sensor more than doubles the pixels in older Phantom 4 cameras. It provides more definition in both video and stills. 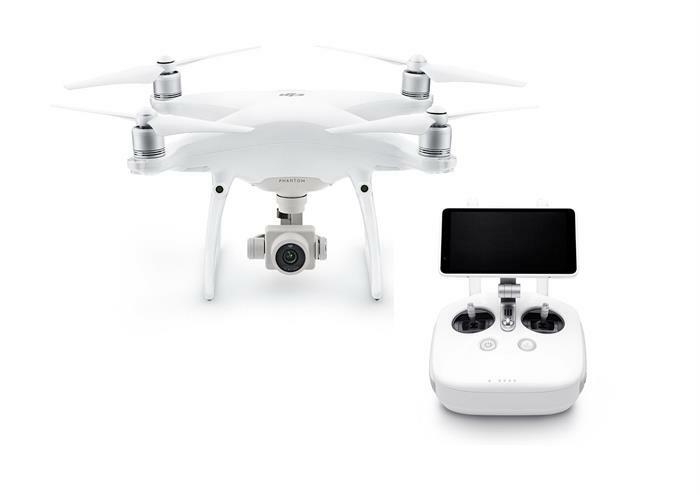 True 4K video: You’d have a tough time discerning 4K video shot by a Phantom 4 Pro+ from 4K video shot by cameras on higher-priced quadcopters. A motorized 3-axis gimbal keeps the video shake-free. The 60fps speed makes P4P+ video an ideal candidate for conversion to slow motion. The output is increased to 100Mbs from 60Mbs on earlier Phantom 4 cameras. This is true professional-level video that’s suitable for shooting TV news, commercials, features, advanced web pages, weddings and indoor/outdoor events. 20MP stills: The bigger sensor takes stills to an outstanding 20MP on the Phantom 4 Pro+, up from 12MP on previous P4s. And the maximum burst rate doubles to 14fps from 7fps on earlier P4s. Those are huge improvements for professional photographers. Adjustable aperture: Remember when you had to attach a filter on bright days to reduce the light entering through the Phantom 4’s fixed f2.8 aperture? On the Phantom 4 Pro, you can adjust the aperture through a dynamic range of f2.8 to down to f11, directly from your remote controller. That’s helpful for taming bright sunlight and for increasing depth of field. Filters, of course, are still accommodated. Distortion-free shutter: The mechanical shutter on the Phantom 4 Pro+ prevents rolling distortion. If you have shot really fast action from an earlier Phantom 4, you might have encountered distortion. A photo of a racecar, for instance, would produce oblong tires because the camera couldn’t freeze action that fast. Now the rotating tires look like tires, not like a distant galaxy spinning in space. TapFly: Just tap on the screen to point your drone in that direction. It will automatically avoid obstacles, unless you’re in TapFly Free. In Tap Fly Free, the drone goes in the direction you tell it but you can separately control the camera and gimbal. That leaves your hands free to concentrate on aerial video or photography, not on flying the aircraft. With TapFly Forward, the Pro+ will go forward to where your tap points it, with the camera and gimbal straight ahead. In TapFly Backward, the drone flies backwards in the direction opposite of where you tapped on the screen, with the camera and gimbal again aimed to the front of the aircraft. Draw: Here’s another program that lets you concentrate on controlling the camera on your Pro+. Use your finger to draw your route onscreen, and the aircraft will follow it. Draw Standard allows the drone to follow the indicated path with the camera facing the direction of flight. Draw Manualreally helps with creative video and photography by telling the drone to follow the path only when you command it to move, while you aim the camera wherever you want. Return to Home:This program is your security blanket when you signal the Phantom 4 Pro+ to return to base. It also automatically boots when the signal is lost. The aircraft follows the safe path it just took, or if that path is unavailable, it finds its way using GPS and obstacle avoidance. 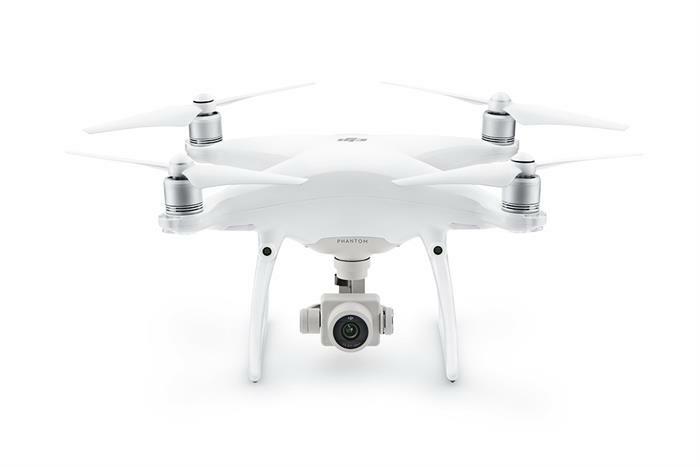 The Phantom 4 Pro is safer to fly than earlier Phantom 4 drones because it has more sensors to detect obstacles. Older Phantom 4 aircraft had sensors up front. The Pro+ has sensors on the front, both sides, the bottom and the back. It will sense obstacles in all those directions. It will avoid obstacles in the front, sides and back. P4P can sense obstacles as close as 7 inches and as far away as 23 feet — really useful if you’re flying near trees or indoors. The security from five-directional sensing generates confidence to get in, get a difficult shot, and get out safely. Professionals can’t afford to scratch a mission because a drone’s positioning hardware fails. That’s why the Phantom 4 Pro+ has redundant compasses and IMUs. If one of either fails, the redundant sensor takes over, and the flight continues. Reliance on the backup sensor is seamless. Phantom 4 Pro+ also relies on two satellite systems: GPS and GLONASS, the Russian system. If GPS becomes unavailable, the other system can be used. The remote controller for the Phantom 4 Pro+ operates at up to 4.3 miles. Video is transmitted by Lightbridge in 1080p, or 720p at farther distances. Two frequencies are available for transmissions: 2.4Ghz and 5.8Ghz. The Pro will switch between frequencies automatically if it senses interference from cell towers, WiFi or some other source. FPVLR range extenders are available through DroneNerds.com. Professional installation by Drone Nerds DJI-certified technicians is recommended. It’s affordable and takes only a few days when service is arranged online. The DJI Intelligent Flight Battery is the smartest drone battery on the market, and that makes it highly reliable. It’s smart enough to prevent overcharging or over draining. It even protects against damage during storage by slowly discharging power. An Intelligent Flight Battery tells you, through the DJI Go 4 flight program, how much power it has in reserve. Reserve running low? Return to Home mode will get your Phantom 4 Pro+ safely back to base before power is gone. But don’t worry: Each battery gives the Phantom 4 Pro+ up to 30 minutes of flight time. When you return to base for a fresh battery, the Phantom 4 Pro+ remembers its takeoff spot and lands there, making landings easier. It then returns to the precise spot where you had been filming, because it remembers that, too. Since you flew there safely, P4P+ remembers the flight path. When Return to Home is activated, whether by you or by the flight program when a signal is lost, the aircraft uses the safe path to get back to base.